How do you know when a student is engaged in their own learning? You know that students are engaged with an activity when you observe their focus on a task, they look like they're having fun, and they are asking questions. This Valentine's Day mind teaser has a list of Valentine's words, but the word clues have scrambled letters. 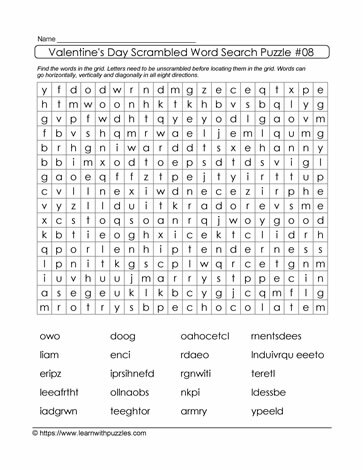 To solve the puzzle students need to unjumble the words first before finding them in the grid. Note that if a word clue has two or three words, the scrambled letters do not necessarily give an indication of the number of letters in each word.